Ha Giang (VNA) – The Banyan Tree Group conducted a fact-finding tour to the northern mountainous province of Ha Giang from August 8-10 to study the building of super luxury hotels in the locality. After visiting popular destinations in Ha Giang, the group showed special interests in areas of Nam Dam Lake in Quan Ba district, and Ma Pi Leng Pass in Meo Vac district. At a working session with local authorities on August 10, Director of the group’s project Phan Chi proposed the province build roads to these selected areas and hand over clean land to investors as well as ensure the provision of electricity and water and support the group to build resorts according to local architectures. Secretary of the provincial Party’s Committee Trieu Tai Vinh and Chairman of the provincial People’s Committee Nguyen Van Son revealed a plan to build a global geological park at Dong Van Karst Plateau approved by the Prime Minister in April 2017. The scheme is significant to the development of the plateau – which was recognised as a member of the Global Network of National Geoparks in 2010, becoming Vietnam’s first geological park and the second in Southeast Asia, they said. 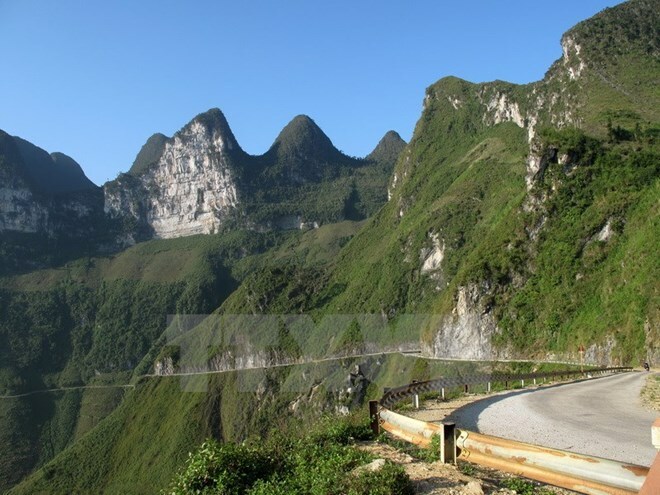 The officials added that Ha Giang is coordinating with the McKinsey & Company Vietnam Limited to speed up the building of a tourism development plan for the park and Ha Giang city through 2025, with a vision to 2035. Ha Giang has also been improving the business environment to attract both domestic and foreign investors, they said and pledged to create the best conditions for enterprises to do business. Banyan Tree is an international group established in 1994 in Singapore, specialising in management and development of resorts, hotels and spas in Asia, America, Africa and the Middle East region.